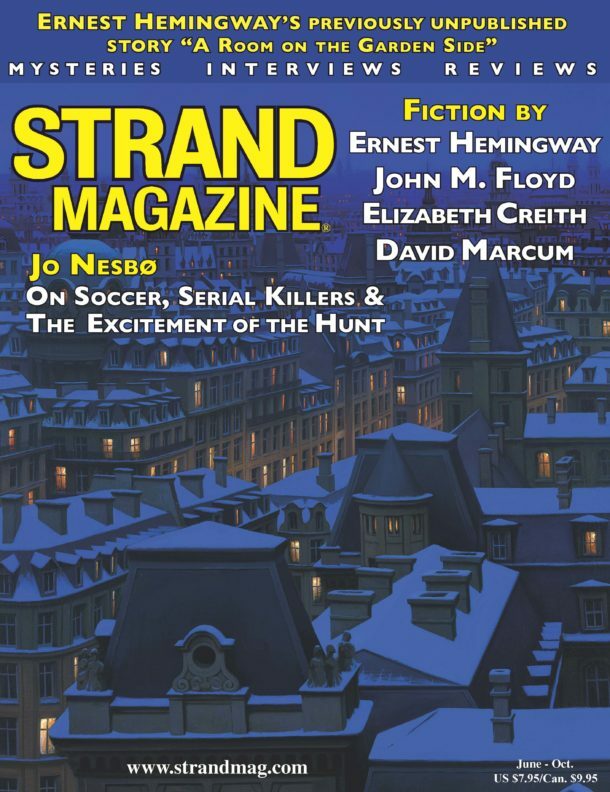 A Strand Magazine exclusive! 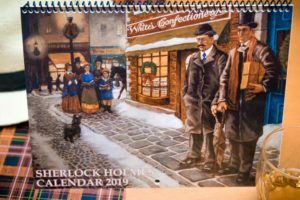 Full color calendar celebrating The Great Detective with quotes, and trivia related to Sherlock Holmes and Arthur Conan Doyle. 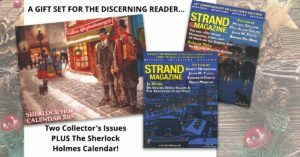 Beautiful spreads with photos and illustrations of Sherlock Holmes, including scenes from the Canon by Sidney Paget. 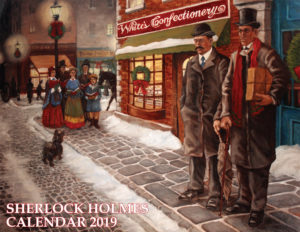 Also includes exclusive artwork by award-winning artist Jeffrey McKeever. Full color, 11×17 on glossy paper. 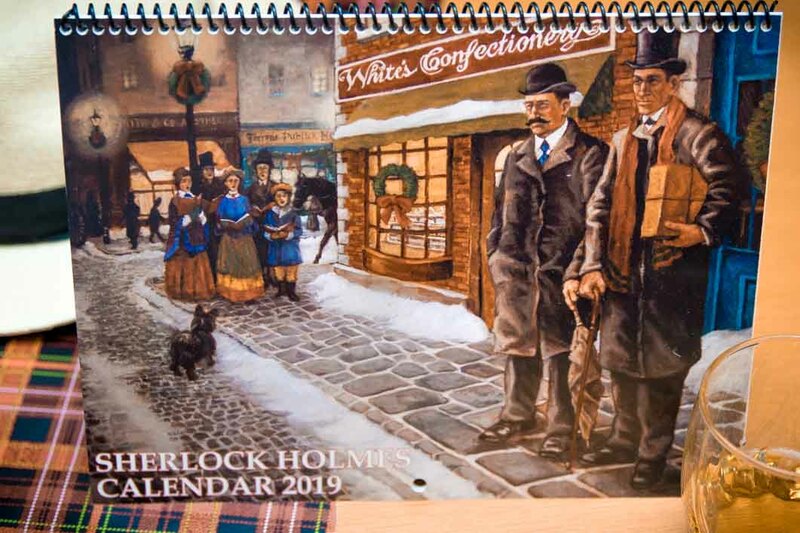 A collector’s item that will last for years! 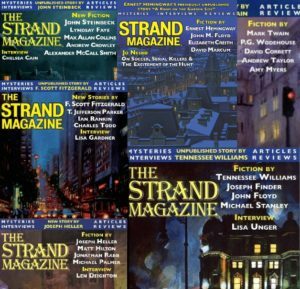 In addition to the calendar, you’ll receive a two year subscription to the Strand which will feature the latest short stories and interviews by bestselling authors as well as book reviews of the latest mystery offerings. 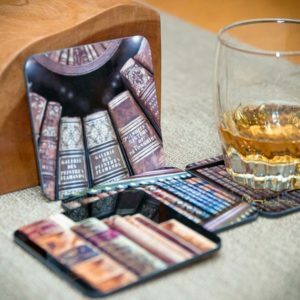 A perfect gift for the holidays!